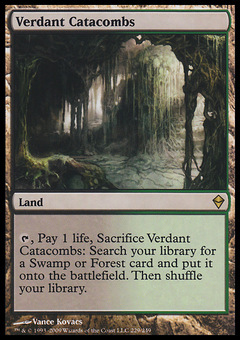 Citadel Siege ($0.12) Price History from major stores - Fate Reforged - MTGPrice.com Values for Ebay, Amazon and hobby stores! 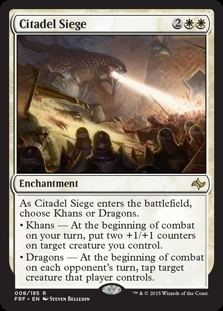 Card Text: As Citadel Siege enters the battlefield, choose Khans or Dragons. ? 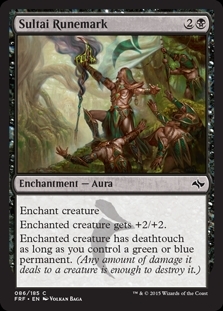 Khans - At the beginning of combat on your turn, put two +1/+1 counters on target creature you control. ? Dragons - At the beginning of combat on each opponent's turn, tap target creature that player controls.